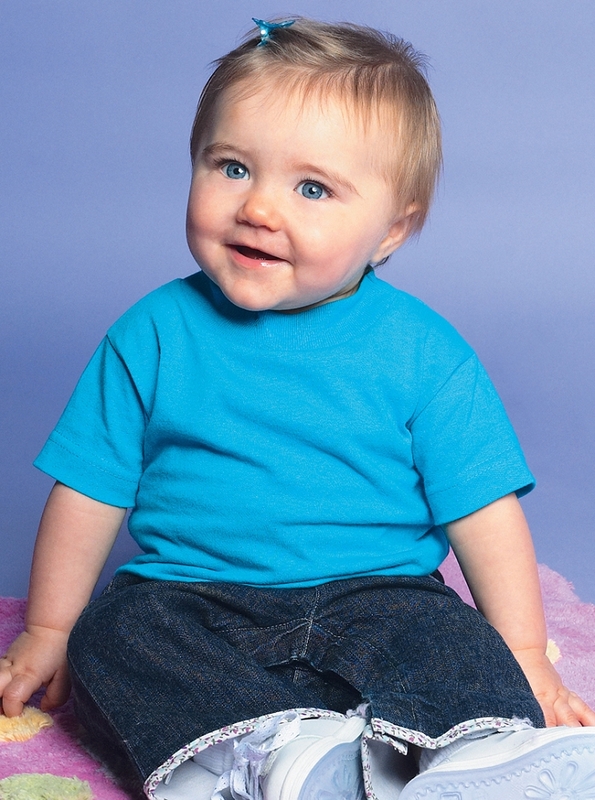 These solid color baby t-shirts are durable yet soft for the baby on the go. These blank t-shirts are great for crafting, decorating, personalizing or wearing as plain t-shirts. Available in over 40 different kid pleasing colors including school colors and options for teams, daycares, resorts and more! 5.5 oz. 100% cotton (Heather is 90/10) jersey. Ribbed crew neck. Taped shoulder-to-shoulder. Double-needle hem sleeves and bottom. White is sewn with 100% cotton thread. NOTE: This is a standard style t-shirt with no lap shoulder. Q: What brand name are these shirts? A: Made by rabbit skins, by LAT.